ETNHost is proud to present the third chapter of our new “How To?” series, which is centered on the florist industry. Here we will give you some tips and tricks on how to build your florist website, what elements you should include and the names of some WordPress themes to serve you as a starting point. The purpose of our series is to make it easier for business owners to construct their website and to have some guidelines while doing it. It is the 21st century and if you want to stay relevant, having your business online is a must. People are used to looking something up on the web. And if you don't have a website to show them that you exist as a business, then you might just as well be giving your money to the competition. In order for you to have the site you have always dreamed about, you need to choose a web hosting provider and a domain. 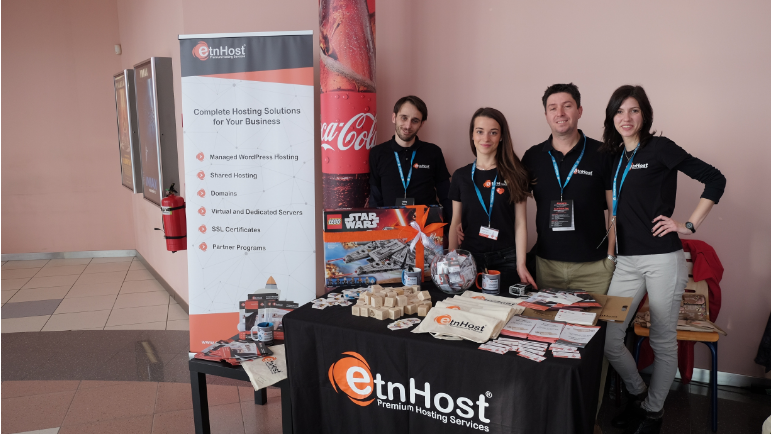 ETNHost offers web hosting plans, suitable for small to medium to large websites, and if you are not sure which is the best solution for you, our support team is at your service. We have already discussed the topic of domains in our 10 Tips on Choosing The Right Domain Name article. The Installation of WordPress is pretty easy and step-forward process. You can find read about it and how to install a WordPress Theme in our How To Build a Website Using WordPress article. Elegance – is a theme that was not particularly designed for a flower shop, but its name speaks for itself. Elegance has a beautiful floral header which is perfect for the occasion and has a simple wooden background image as well as an elegant script font. Lavender – again, a theme that is not specifically designed for a flower shop, but perfectly suitable. It is floral themed and with a nice wreath illustration for the header. FlowVin – is a classical and romantic theme, perfect for a flower shop website. It is easy to customize and to install and fully responsive. Sugar and Spice – is an elegant theme and the best part is that is free. It has simple menu items and is perfect for a flower shop website. Flowers – the name speaks for itself. "Flowers" is a theme that is perfect for your business. Easy to customize and fully responsive. Flowers – is another free theme, it is simple and elegant, fully responsive with a custom header and background. There are many themes which would be perfect for you and your business, all you have to do is look for them up. In Chapter One you will find instructions on how to install a new theme in WordPress. If you don't know how to do that, then you really should read our previous post. The elements of your website are its building blocks. If you don't have the right elements, your site would look like a giant mess. Having a presentable website is good for your business because it makes you look professional. Gallery – when you are selling your bouquets online, it is important that you provide the pictures needed for it to happen. Share your designs and creativity, but don't put images on your site that are not of your work. It is not professional and if you get caught it is gonna be unpleasant for both parties. Flowers for every occasion – Bouquets suitable for weddings, birthdays, Valentine's Day, and other occasions. These are the things that would prove most profitable, so this section is very important. Types of flowers that you have and use - Have a list of all of the kinds of flowers you work with. List all of your services. Prices – have a detailed list of prices, and remember that it should be web-based and not in a PDF file. Blog – it is not imperative, but it will be something that your customers enjoy, and it's good for the SEO. Delivery – having an online form, which the customers can use for making an order is very useful. Location and Contact – people should be able to find you, so it is imperative to put your contact information on the website. Most WordPress themes come with widgets that allow you to put a map on the site so it can be easier for the customers to reach you. Social Media – Another imperative is being active on the different types of social media. I am not telling you that you should hit every social network there is, but having a page on the most basic ones such as Facebook, Twitter, Pinterest and Google+ is definitely going to better your chances of being discovered by new customers and to gain popularity. Having a website may be essential, but it could be fun as well. 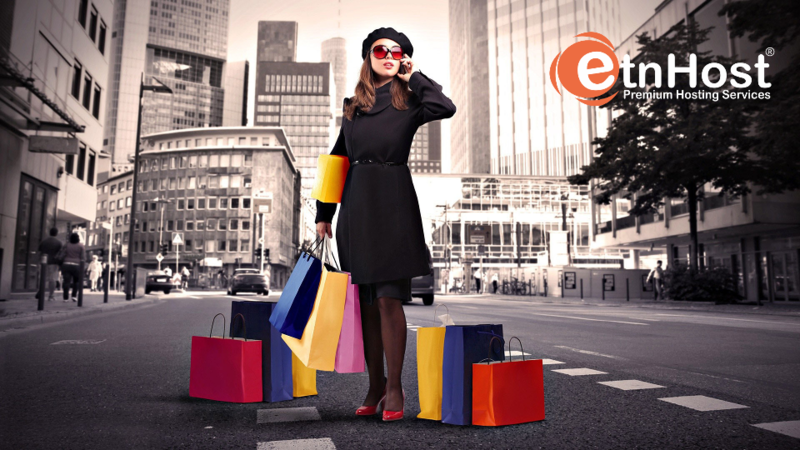 Here at ETNHost, we value your creativity and want to help you and your business grow. Our web hosting plans give you free access to over 400 applications one of which is WordPress. Join our growing family and lets Envision The Net Together!